High school is filled with coming-of-age stories, through stress, successes, and failures that both students and teachers go through, hand-in-hand. Teachers have guided many students to grow and achieve great things. 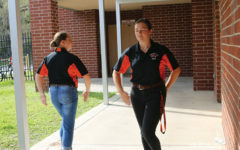 Photography and yearbook teacher Alicia Pope has helped senior Michelle Vernikos all throughout high school. Vernikos had Pope for all four years of high school. She met Pope in Photo 1 during freshman year and learned all about photography. “With the knowledge and experience I gained in that class, I realized my passion for photography,” Vernikos said. Throughout that year, Pope recognized Vernikos’ passion and talent and encouraged her to join the yearbook staff. “I knew she would be excellent, I had her in Photo and she was a really strong photographer,” said Pope. Vernikos joined the yearbook sophomore year and discovered a whole new project. According to Vernikos, yearbook is an intense class that isn’t necessarily one of the “regular” classes, but Pope is ready to help students tackle the learning curve. 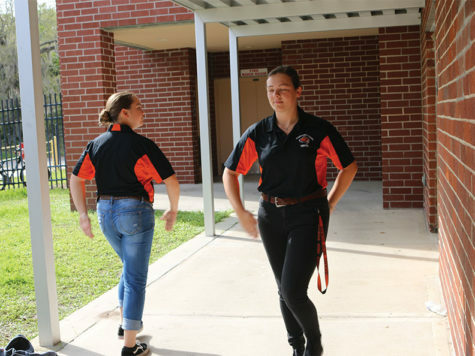 “If I need help with anything, she’s always there, and having her as my yearbook adviser has helped me gain knowledge about so much involving photography and design,” Vernikos said. Although being involved with the yearbook for multiple years and editions may have been stressful, Vernikos finds it great. “I never dreaded completing work or going to yearbook because the staff was basically one big family and it was fun,” Vernikos said. Pope is highly involved with The Oviedian yearbook and its staff. “I am a facilitator, I have to keep everyone on task and remind them of the rules of journalism,” said Pope. Having Pope as a constant presence in Vernikos’ high school life has been a significant benefit to her, not only as a yearbook staffer but also as a photographer. “With her help, I’ve been able to enter photos into art shows and have even taken home a ribbon with one,” Vernikos said. Now that she understands yearbook, Vernikos has gained new responsibilities. Vernikos is able to bring not only herself but others to success, able to help produce a high-quality product. “Even with a change of duties, with Pope’s guidance I know that no matter how stressed or clueless I may feel at times, I’ll be able to get through it and help my fellow staffers on finishing the book,” Venikos said. All in all, she has no regrets on taking Pope’s classes. “Having Miss Pope all four years has been awesome,” Vernikos said.